The Revelstoke Wedding Collective is a group of creative artists. I provide wedding and videography services and connect you with talented floral designers, hair & Makeup artists and jewellers all based in Revelstoke, BC, Canada. I travel to the Kootenays, Okanagan and the Rockies offering wedding imagery and film services. During both winter and summer, Revelstoke attracts destination weddings from all over the world. Whether your dream destination wedding is on the ski hill, beside a beautiful blue-green lake with snow covered caps or in the forever green lush cedar forests, I will capture your wedding day in beautiful, creative, modern photographs. Browse the galleries for a taste of creative adventurous wedding ideas. Then contact me to start planning your dream mountain wedding. I photograph in a documentary way, gathering the laughter and the hugs, the goose bumps and the tears of joy. Creating memories so that, in every life turn, those moments may be lived again. My calm, grounded and sparkly nature is contagious and gives your wedding day all the comfort, ease and empowerment you need. I photograph using multiple tools: DSLR cameras, drone, GoPro and sometimes underwater cameras (for the water lovers) and always sees through my viewfinder with a passionate and generous eye powered by a full heart. 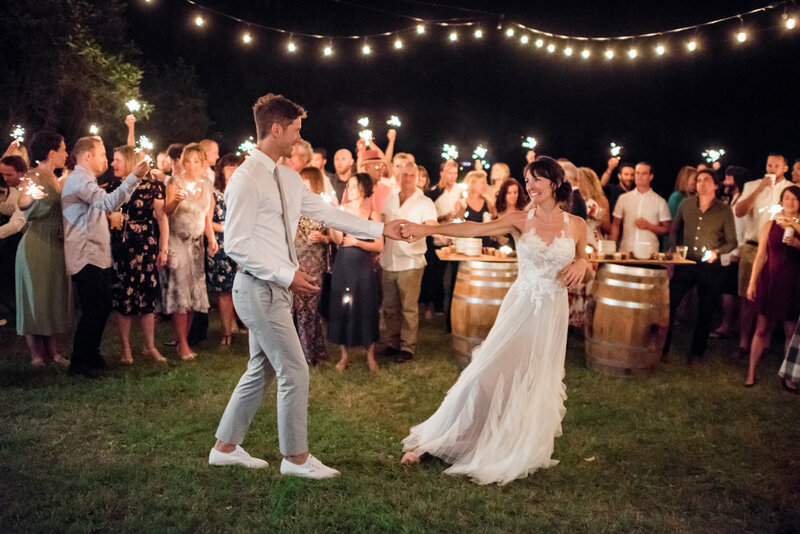 I thrive on Connecting Brides with the best local vendors, to alleviate some of the coordination stress and to fullfill your dream wedding vision . I will genuinly keep you having fun and you will be able to think back on your wedding day as unposed, fun and unforgettable. Photography, like life, happens only in the present, and when we're at our best we proactive craft and create art that points people to the most astonishing, beautiful, and human moments- the ones that happen in a sliver, almost a moment within a moment, and are gone. Love is life; an amazing experience, passion, swimming in the ocean, that first sip of coffee in the morning, the greeting of my dog after a long day, a kiss on my forehead before I fall asleep. My language of love is taking photographs. I hold a passion for the world and an eye for the beauty it contains, I am on a continual journey to seek out and capture the beauty of this world – whether it’s the beauty of some of most extreme and pristine environments in the world, or the beauty of some of a person's most personal moments. I photograph in a documentary way, gathering the laughter and the hugs, the goose bumps and the tears of joy. Throughout my years of living remotely and working in some of the wildest places on earth, I developed a passion for shooting couples in connection with natural landscapes such as alpine peaks, lush rainforests and waterscape. My calm, grounded and sparkly nature are contagious and give your wedding day all the comfort, ease and empowerment you need. I live in Revelstoke with my lover and partner in crime Stefan and our our furry baby Leo. My faith for experiencing life’s beauty is strong and I adventure with an open heart. Outside of the office my time is spent skiing, swimming, travelling, laughing and hosting my friends for yummy dinners by the lake. I'm perfectly imperfect and choosing everyday to embrace the story that is my life as gracefully as I can. All photo packages come with an online gallery and 8H+ packages include a USB deluxe package and ten 6x4 high quality prints. The boxes are made from sustainably harvested wood which I source from a local mill called Take to Heart in Revelstoke. Revelstoke's wood is special because it is part of the only inland temperate rainforest in the world. The box is made without hinges and the cover fits with the bottom to symbolize the union of two people that fit perfectly together. The boxes are handmade with lots of love (and time :). Linseed oil is used to finish the outside. Wood-burning is still new for me, please see the imperfections as a sign of authenticity. Cedar is often referred to as the tree of life. Its size and longevity symbolizes strength and eternity, especially given the tree's perseverance through tumultuous weather events. I care about delivering a final product that is unique and tangible. It also make me use my hands which is a nice change from the digital world.